From Chef David Bazirgan of Bambara comes a fresh take on the Easter brunch buffet, which will be served in the Serrano Ballroom of the adjacent Hotel Marlowe. The buffet will feature stations focused on smoked salmon, leg of lamb, and freshly made omelets, as well as updated brunch classics such as crabcake benedict and choereg (Armenian Easter bread) French toast. Brunch runs from 10:30am to 2pm with Easter Egg Hunts at 11:30am and 1:30pm. ($50 per person, kids 11 years old and under are $20 per person.) Reservations suggested. If buffet-style dining isn’t your thing, Bambara is also serving a new brunch menu, which will be available a la carte from 8am to 2pm. 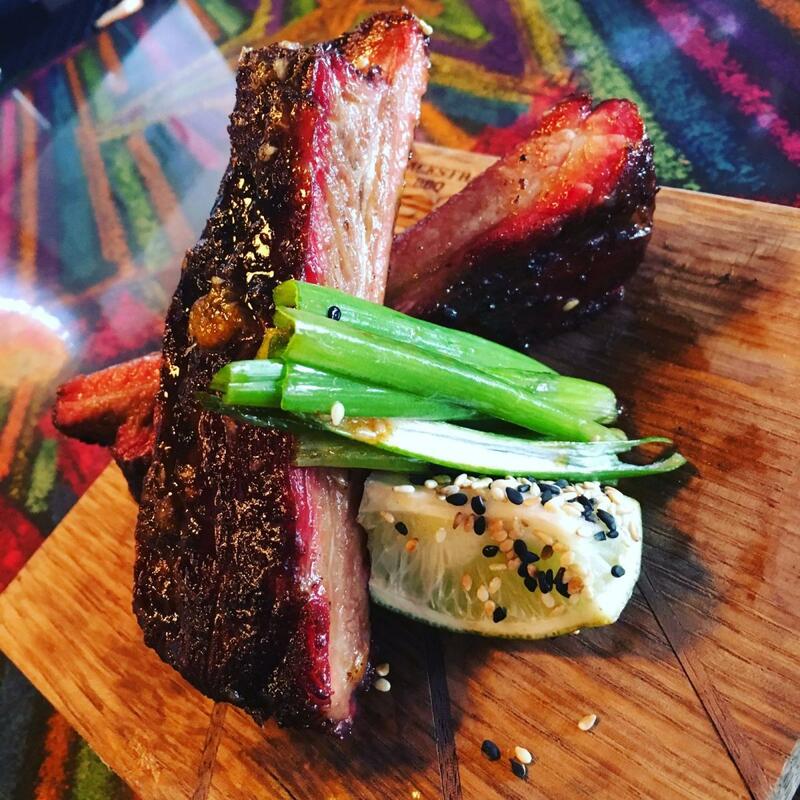 Chris Thompson at Blackstrap BBQ will be whipping up some innovative Easter BBQ dishes this Sunday. The slow-smoked and pulled lamb sandwich with harissa vinaigrette and pickled okra is a unique take on the typical Easter lamb. Green eggs and lamb hash, slow smoked lamb-and-potato hash with 2 sunny eggs and chimichurri sauce, is “green” because of the accompanying sauce (and because it just sounds fun). Both Easter specials will be served alongside several other new brunch items this Sunday during brunch hours, 11am to 3pm. 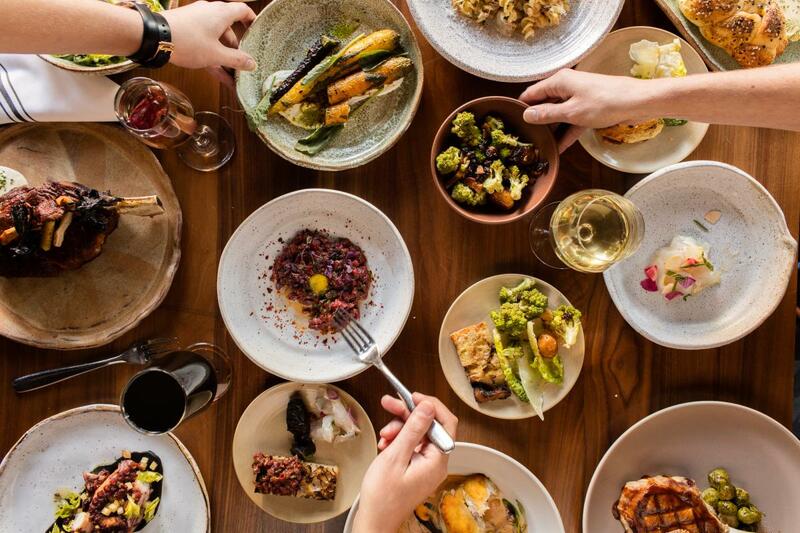 Normally only open for dinner service on Sundays, Bergamot in Somerville, will open its doors early on Easter Sunday for a special Easter brunch. This upscale but unpretentious spot will be serving some inventive seasonal options that make will make this feel like a truly special occasion. First course options will include seafood chowder with grits, citrus salad with frisee and puffed quinoa, and huevos rancheros with confit pork belly and fried egg. Second course options will include a meaty convergence featuring Somerville hot brown, sausage bread, cottage ham, smoked turkey breast, bacon, tomato confiture, and mornay sauce, or roasted halibut with sunchokes, asparagus, crab hollandaise, pickled green garlic. For dessert, a mango soup with confit pineapple, roasted banana chantilly, and puffed rice tuile is a unique offering, along with fruit tart, and coffee cake. The three-course, menu will be available from 10:30 am to 2:30 pm. ($46 per person) Regular dinner service will be served from 5pm to 8:30 pm. 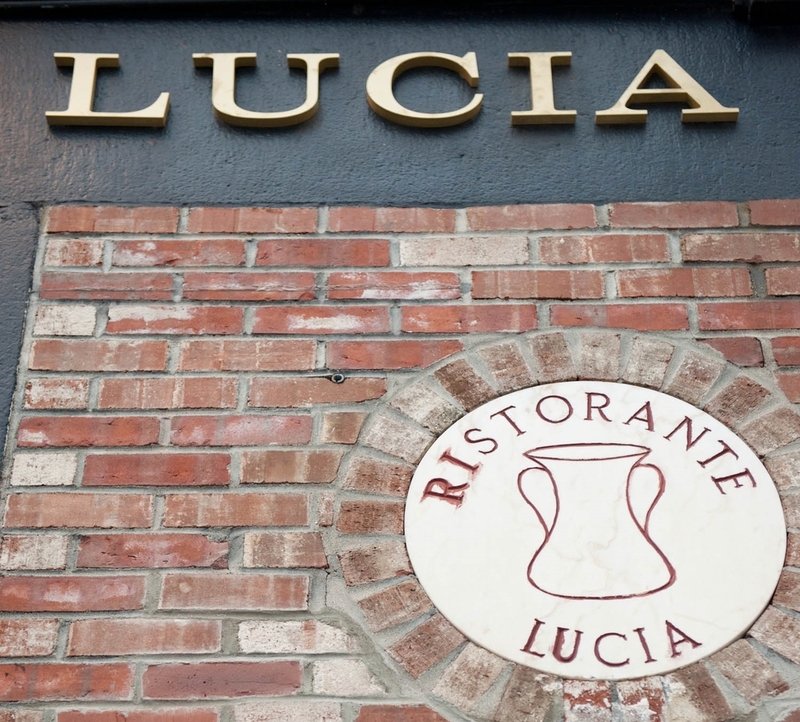 The Italians know how to do Easter right, and at Lucia Ristorante you can find some Easter specials worth making the trip to the North End. Herb roasted lamb al forno with roasted potatoes, and a seasonal lasagna primavera lead the specials list. A traditional Easter cake of sweet ricotta and wheat berries - Torta di Grano - are on the dessert menu along side a classic tiramisu con frutti di bosco (prepared with fresh, wild berries). Specials will be available from 11:30 am. to 10pm, along with the regular menu. 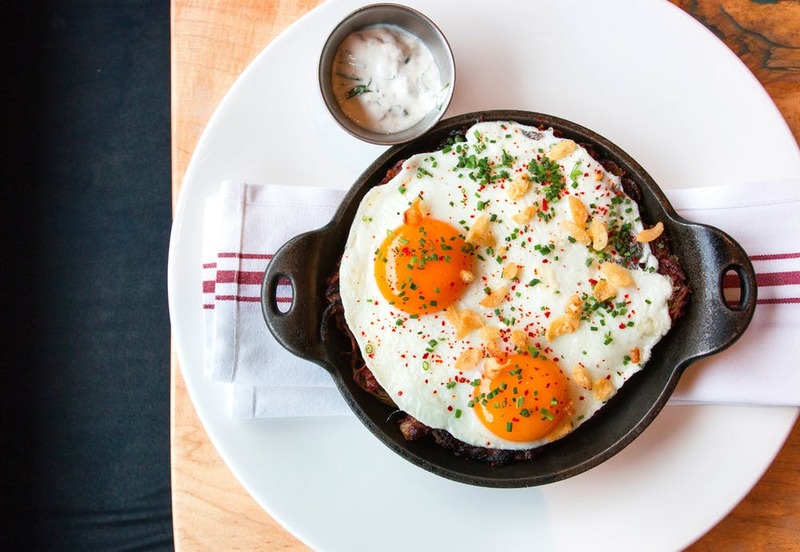 Puritan & Co., located in Cambridge’s Inman Square, will feature a three-course brunch menu in addition to a la carte pastries. 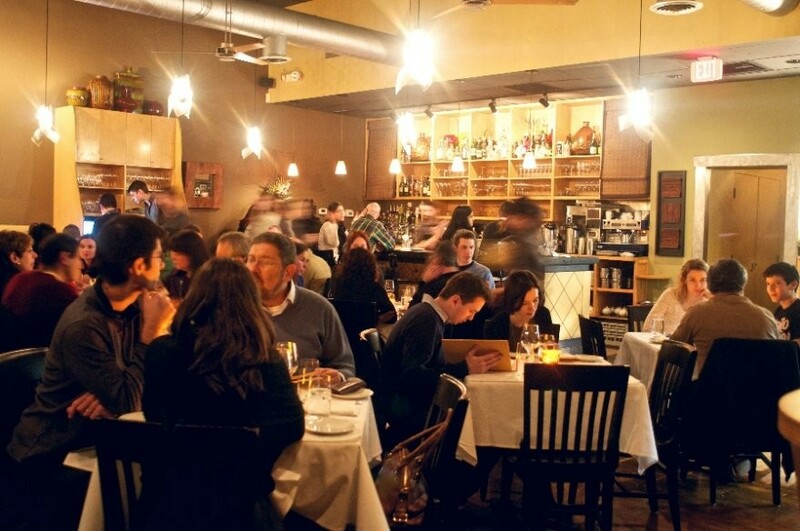 The menu is full of local ingredients and innovative takes on New England classics. This spring brunch menu will feature first course options of fresh Greek yogurt parfait, carrot soup with vadouvan curry, and beet-cured salmon with everything bialy, fresh cheese, and pickled shallots. Main course options include asparagus and mushroom scramble, grilled ribeye steak with farm eggs and potato galette, and smoked turkey hash with roasted peppers and farm eggs. 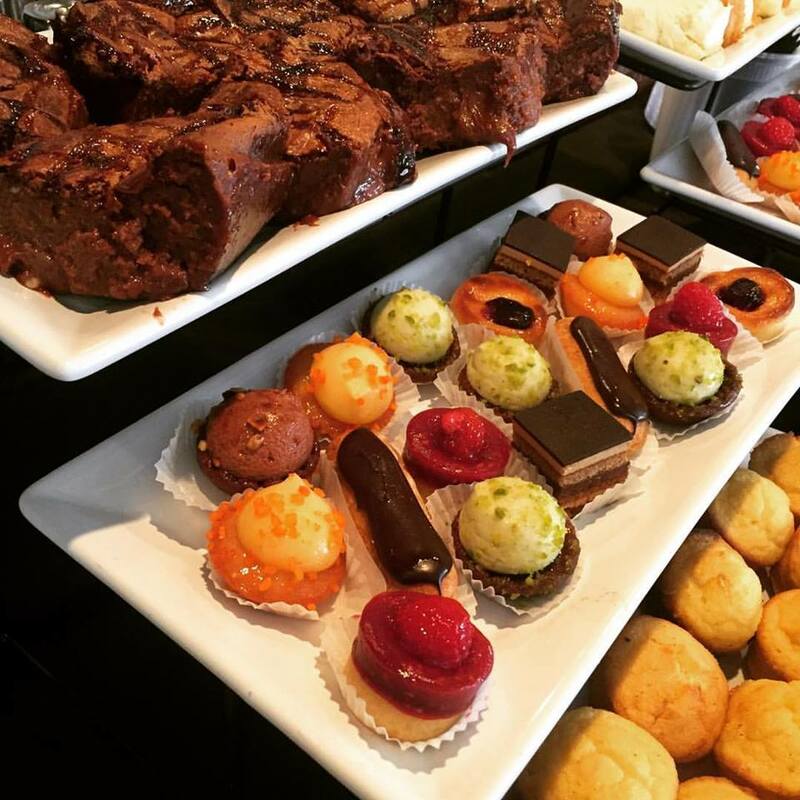 For dessert, you can choose from lemon poppy cake with strawberry & rhubarb jam, or espresso chocolate layer cake with milk chocolate mousse, whipped mascarpone, and whopper crumble. ($45 per person) Brunch will be served from 10am to 2:30 pm. In the evening, Puritan’s regular dinner menu will be available as well as their new prime rib Sunday menu. Darryl’s Corner Bar & Kitchen will be serving up an all-you-can-eat jazz brunch buffet featuring live music entertainment by Jeff Felder and friends. Choose from a selection of delicious brunch cocktails and a rich assortment of dishes packed with southern soul.